As if to remove any doubts about just how “far right” Spain’s new ultra-conservative Vox party is, the party has announced among its list of candidates for upcoming national and local elections four retired military generals, two of whom last year signed a manifesto extolling the 1936 military uprising led by Gen. Francisco Franco against the democratically elected Republican government. That revolt sparked Spain’s bloody 1936-39 Civil War and led to the 36-year dictatorial regime that lasted until Franco’s death in 1975. The two retired generals who signed the manifesto last year in support of Franco’s role in the military uprising, the Civil War and the decades of dictatorial rule that followed are Agustín Rosety and Alberto Asarta. They were among 200 former and current military officers and a total of some 600 current or former members of Spain’s armed forces signing the manifesto in protest of the decision by the government of President Pedro Sánchez to move Franco’s remains from their place of honour inside the Basilica of the vast ‘Valley of the Fallen’ monument outside Madrid. After the civil war, Franco ordered the construction of the vast mausoleum complex using the forced labour of Republican prisoners, many of whom died in the process and were also buried at the site. Rosety is running as a parliamentary candidate for Vox in the Andalucian province of Cádiz, while Asarta is standing as a candidate for Vox in Castellón, in the Valencian Community. 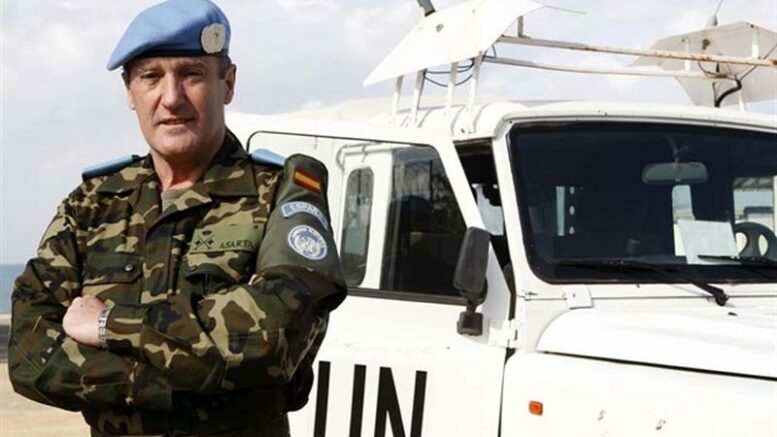 Also running for the ultra-right party as a candidate in Alicante province is retired Gen. Manuel Mestre Barea, while retired Gen. Fulgencio Coll, who was Chief of Staff for the Army from 2008-2012 during the term in office of former President José Luis Rodríguez Zapatero of the Socialist party, will lead the Vox ticket in Palma de Mallorca.